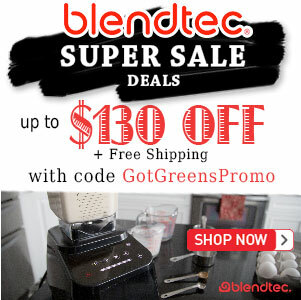 Blender Giveaway - Win a Blendtec or Vitamix - Got Greens? 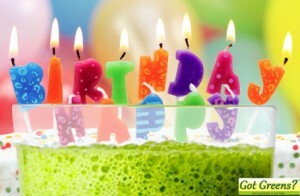 It’s our 7th Birthday and to celebrate, we are giving away a blender to one of our readers! 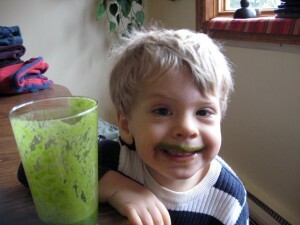 Our amazing journey began in 2006 when we started teaching our world about green smoothies and blenders. Shortly thereafter we began the Got Greens? website. We have given away over 40 blenders in person and for our birthday we want to give a reader a new blender. But not just any blender. You have the choice between a Vitamix or a Blendtec! Blendtec/Vitamix Giveaway. We are giving away one new (NOT refurbished) blender to one of our lucky readers (a $529 Value). The winner will have their choice between a black Vitamix 7500 or a black Blendtec Designer Series Combo. Valid entries are accepted now through July 31st and the winner will be chosen shortly after. 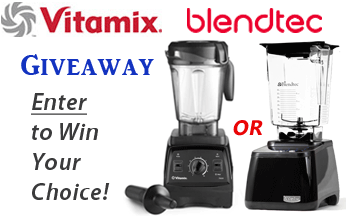 First, the hard part… decide if you want to win a Vitamix or a Blendtec. 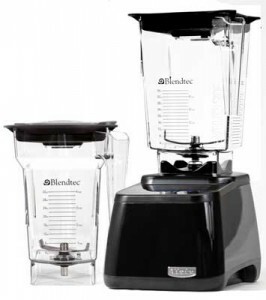 If you need help deciding, please see our » award winning Blendtec vs Vitamix Comparison. The rest is easy. In order to be qualified to win you must use the entry form below to tell us which blender you choose and you must leave a comment below sharing why you prefer the Blendtec or Vitamix. There are also additional entry options available to increase your chances of winning. This giveaway has ended. Many thanks to the 8787 entries! Be sure to sign up for our newsletter if you wish to be informed about or other giveaways. 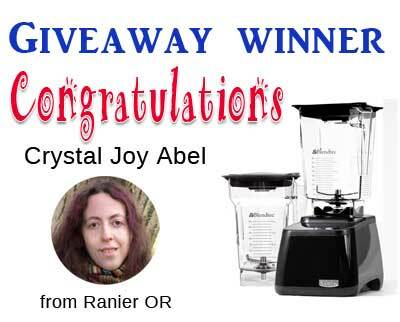 Congratulations to Cyrstal Joy Abel, the proud new owner of a Blendtec Designer Series. May your new blender bring you and your family improved health! I would choose the Vitamix a) because of its reputation and b) because I have had the pleasure of tasting quite a few recipes and loved each one! 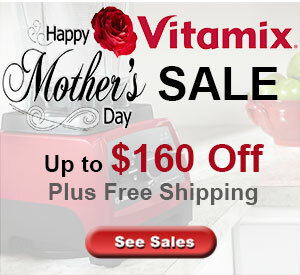 I’ve heard great things about Vitamix and know people who love them. 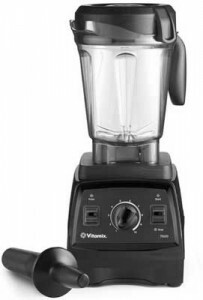 Thanks for the giveaway…I prefer the Vitamix because the control options are more precise for the user; also, when it comes to kitchen appliances I think electro-mechanical controls are less prone to failure than digital / electronic. I like that Vitamix can make super smooth blends and the variable speed controls. I’ve heard the Blendtec gives a little more froth, which I like, so I’m going with that. I think the Blendtec would be more versatile and that would fit my needs better. Because the vitamix has a great reputation.